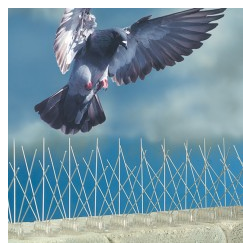 Stainless Steel Spikes create an uneven surface preventing birds from landing on flat or curved areas. Spike comes pre-assembled in 2' sections and are made of stainless steel pins in a polycarbonate base. 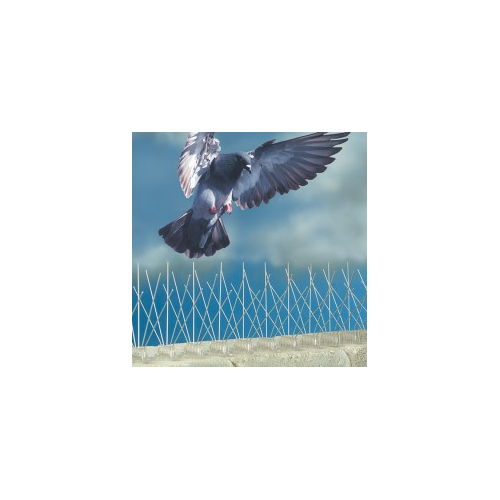 This product is virtually invisible, will not harm birds and is easy to install. Installation requires the strips of stainless steel spike to by glued, screwed or tied down.